today is my co-worker ohhee’s last day with the company. she is moving on to a new and exciting beginning with her fiancé sam in los angeles, california. 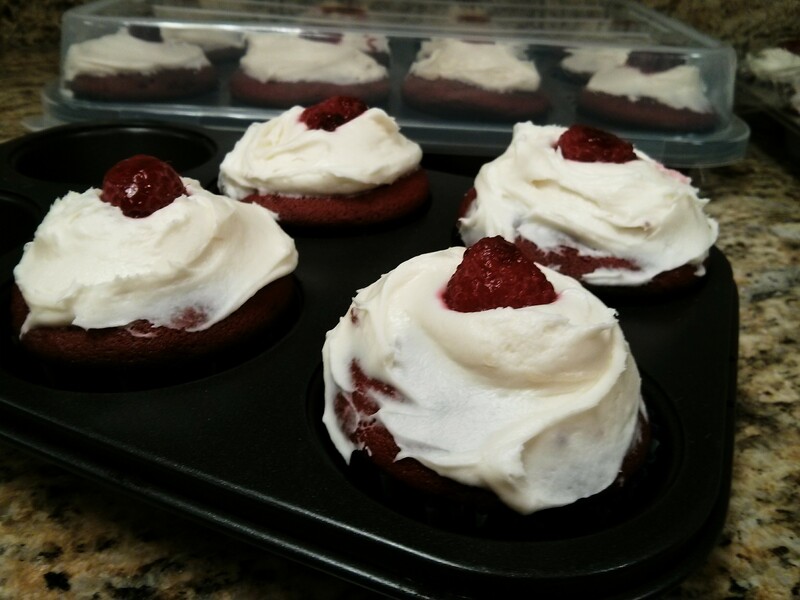 she is certainly going to be missed, so in bittersweet honor of her departure today, i specially made her requested red velvet cupcakes with cream cheese frosting. the cake batter is delicious, as is the frosting. the recipe yields 30 cupcakes, so i might recommend doubling the frosting so that they can be generously topped. enjoy!